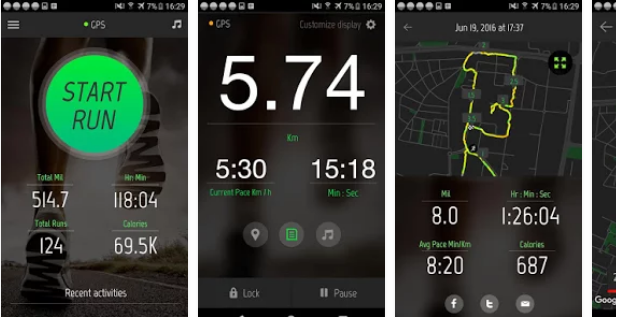 Running Distance Tracker App is a wonderful app to track your running that is the distance, pace, calories and much more. This app provides you with a much accurate count of your running distance/time. It is packed into a gorgeous interface and in a simple manner. You can even hear your favorite music through access to your music player. You will get a voice feedback, this will guide you according to your run. As you run towards your target distance/time you will need to be notified by a voice. You can track your history of improvements over time. – There is a voice feedback letting you know your progress.